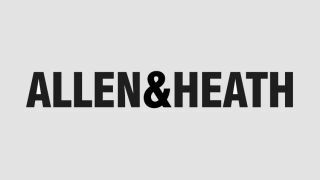 DJ EXPO 2013: Allen & Heath has been designing and engineering innovative, high performance live sound and studio mixers for over 40 years. We applied these skills to DJ mixers in 1999, and more than a decade later Xone Series mixers are recognised as the industry standard for robust construction, innovation, and audio fidelity. The introduction of the new DB series has firmly placed Xone products at the cutting edge of DJ performance with their innovative use of digital technology. From the entry level Xone:22 to the club standard Xone:92, from the ingenious Xone:K2 Universal MIDI Controller to the new Xone:DB4 and :DB2, every Allen & Heath Xone product is designed with the attention to detail that produces great-sounding, reliable instruments that give years of service. We're proud to say that there's a Xone to suit every DJ and every style - from professional club DJs to working mobile DJs and electronic music fans. Xone has fully recognised the digital DJing revolution, but hasn't lost sight of DJs wanting to use traditional mixing techniques. Xone:K2 is a compact, slimline universal MIDI controller - incorporating a 4 channel soundcard - for use with any DJ software. 52 hardware controls provide up to 171 MIDI commands across 3 layers - plus the ability to link multiple units using X:LINK, saving USB ports on your computer. Xone:K2 has the power and flexibility to put you in touch with the functions and features of your chosen software. Quick mapping lets you create a unique layout that mirrors your style, whilst 3 colour illuminating switches give at-a-glance feedback - allowing you to work however you decide. The Xone:DB range exploits the potential of digital mixer technology to bring you maximum DJ creativity. Flexible and versatile mixer controls with an intuitive layout give the DJ full control over the mix. The DB2 boasts twin chainable FX engines, four stereo channels, full Input matrix, and unique Trimodal EQ system. With its built in USB soundcard, MIDI control, Xone Filters and X:LINK connectivity, the Xone:DB2 unleashes the DJ's creativity. The Xone:DB2 captures the essence of DB4 in a stylish, accessible, affordable format and blurs the boundaries between DJing, production and performance for the next generation. The multi-award winning Xone:DB4 is a truly ground-breaking mixer and by far the most advanced product that we have designed. Every feature has been meticulously researched to offer DJs ultimate creativity. FX algorithms with tight spectral controlare customised to perfectly fit the DJ environment. The flexible input matrix allows any audio source to be selected on any or all of the channels. Different processing can be applied to the same track on separate channels and you can fade between them, or a phrase sampled in the looper of one channel can be added to the mix later.